What a happy mail day! I can't wait to try it all! 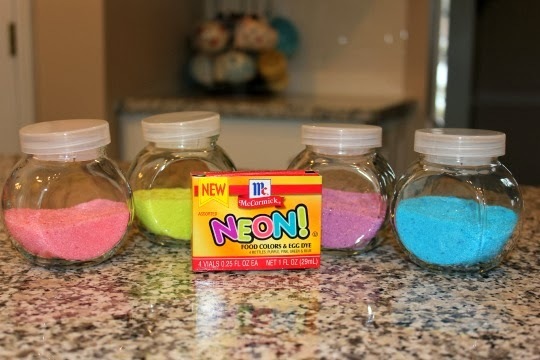 Food Colors to granulated sugar? 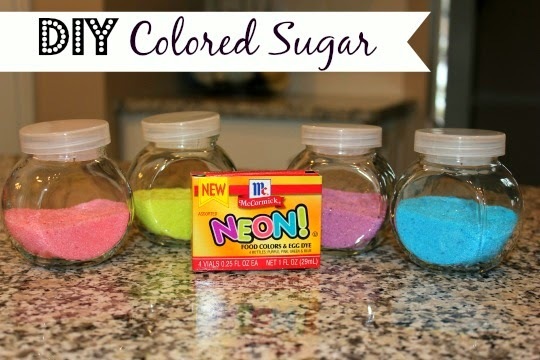 Colored sugars help to brighten any sweet treat, especially cupcakes and cookies. 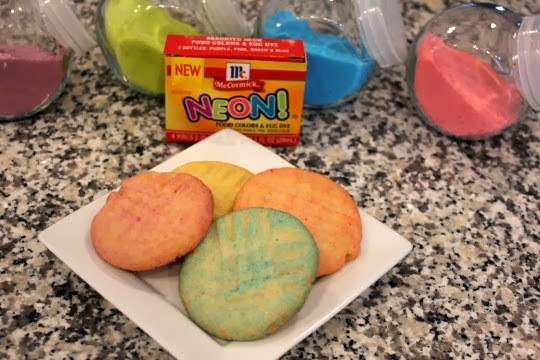 I decided to make some using the pretty neon food colors that were in my gift box. 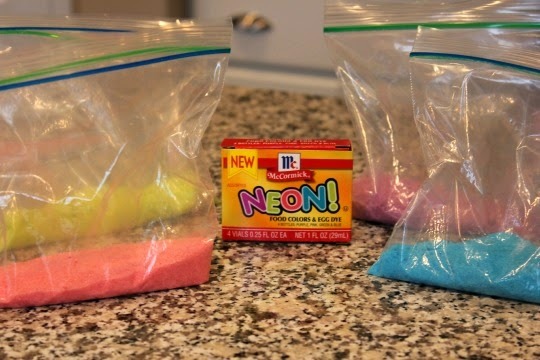 Simply add white sugar (I used 1/3 cup) to a Ziploc baggie. Add 5 or so drops of food coloring to the sugar. Seal the baggie and knead it gently until the color is evenly distributed. I found these cute little clear glass jars at the dollar store. They are perfect for storing my pretty sugars. the colored sugar before I baked them. You can customize your own colors depending on your celebration. These cookie would be perfect for a baby shower. 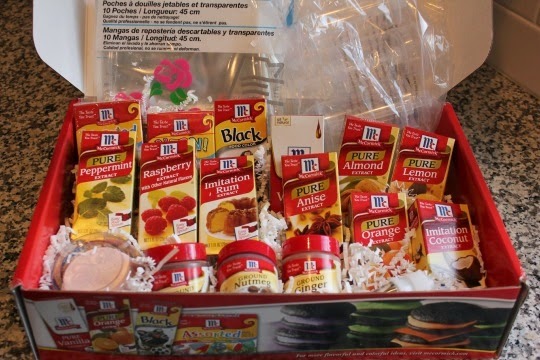 Grab some McCormick Food Colors and make pretty sugars for your holiday cookies!